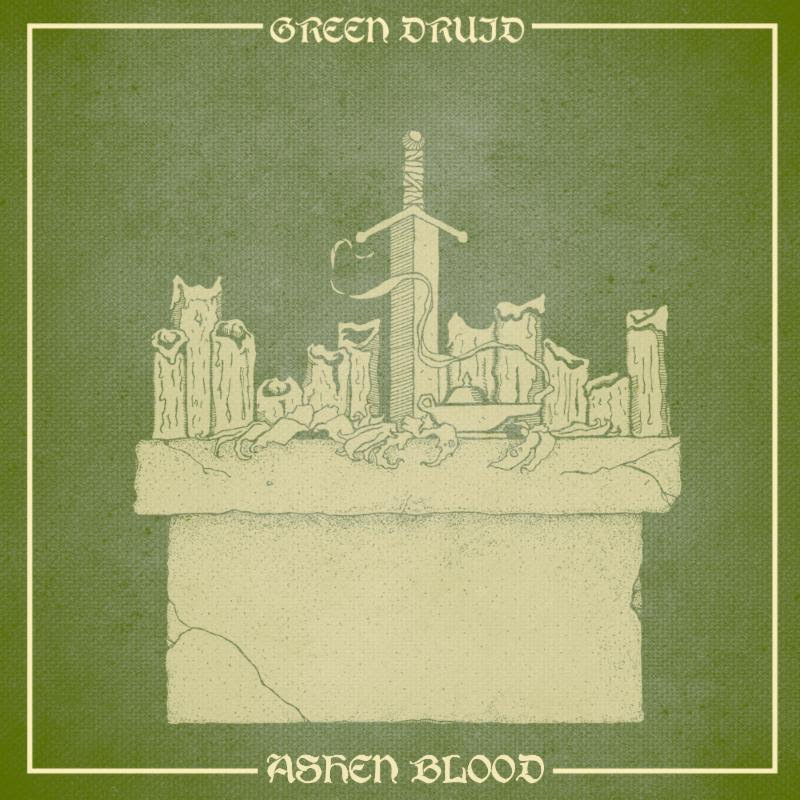 Psychedelic Stoner Doom collective GREEN DRUID will release their debut full-length Ashen Blood via Earache Records this March. Brooding, atmospheric, and isolationist with weighty riffs summoning the Lovecraftian horrors of the cosmos, GREEN DRUID‘s music entrances listeners with tales of the Old Blood and of dismal worlds too soon forgotten. Hailing from the land of Denver, Colorado – the first US city to legalize marijuana – GREEN DRUID worships at the feet of the monolithic amplifier, and performs holy communion with the tremorous onslaught of murky tones that emanate from its maw. “While our first EP and foray into the world of doom could be viewed as us learning the ins-and-outs of the genre, Ashen Blood is where we really started to hone in on our own voice,” issues the band. “Taking influence from the dark fantasy landscapes of games like Dark Souls and Bloodborne, we strove to create a truly doomed psychedelic experience.” Fans of Sleep, Electric Wizard, Sunn O))), Thou, Khemmis, The Sword, and Bongripper pay heed. Ashen Blood will descend upon the ears of the worthy on March 16th on CD, LP, and digital formats. For preorder bundles, go to THIS LOCATION. In the meantime, sample GREEN DRUID’s “Dead Tree” video at THIS LOCATION. In related news, GREEN DRUID will rumble the stages of several venues in the coming weeks with additional performances to be announced soon. See all confirmed dates below. This entry was posted on January 28, 2018 at 5:15 pm and is filed under Hard Rock, Heavy Metal, Metal, Music, news, rock music, world news with tags doom metal, green druid, metal albums 2018, metal odyssey, rock music, stoner rock. You can follow any responses to this entry through the RSS 2.0 feed. You can leave a response, or trackback from your own site.